Russian Christianity has, sometimes with good reason, a tendency to cloak itself in the language of its own philosophical heritage. One can trace this tendency back many centuries—the Russian monastics always had a spiritual character peculiar to their patria, and the devotional life of the Russian people is unlike any other—but it can safely be asserted that this tendency took off with the romantic reaction against the Westernising elements in the governments of Tsar Pyotr I and Tsarina Ekaterina II. The main proponents of this peculiarly-Russian religious philosophy included both the broad philosophical movement of the Slavophils and the religious movement back to the Early Church Fathers spearheaded by Metropolitan Filaret of Moscow. It is shown in the treatment of the language of sobornost’, of integral knowing, of the forms that attach to the monastic community and to the peasant commune, of the deep and rich spiritual soil that has always belonged solely to the crude, unlearned, rural Russian peasant—the roots of political narodnichestvo, of Russian populism. Yet this tradition, though it often uses the language of exceptionalism, has a firm basis in Christian thinking which predates any Russian state. I may be treading out on some thin ice, here. But it strikes me that the religious populism of these 19th-century Russian philosophers and clergymen reflects very strongly the thinking and practice of two of the early Western Church Fathers: Holy Father Irenæus of Lyons and Bishop Saint Ambrose of Milan. Special care must be taken here, because it is very clear that the Russian philosophers of the 19th century imbibed from highly modern sources, including from the German idealists like Hegel and especially Schelling. And the parallels are far from perfect. But it is not accidental—indeed, in the case of the ‘rediscovery’ of the Patristics under Saint Filaret, it is wholly intentional—that the special concern and even admiration of both Irenæus and Ambrose for the accessibility and commonality of Orthodox Christian belief to even the simplest of believers, and their implacable hostility to elitist artifice, strongly prefigures the Russian tradition. Hieromartyr Irenæus, one of the most important ante-Nicene Church Fathers in both East and West, lived only two generations removed from the Apostles. He was a countryman and, in his youth, a disciple of the Apostolic Father, Hieromartyr Polycarp of Smyrna, who in turn learned from the Holy Apostle and Evangelist John. Though he has written a number of other works which are now lost, he is remembered for two writings which have survived to the present day: On the Detection and Overthrow of Knowledge Falsely So-Called (popularly known as Against Heresies) and The Demonstration of the Apostolic Preaching. 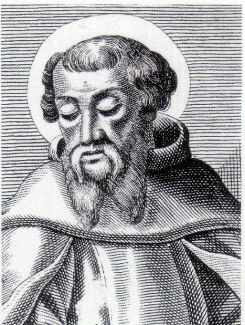 Though an Asian Greek by language and heritage, Holy Father Irenæus spent most of his life ministering and preaching among the Gauls from the Roman city of Lugdunum (now Lyon), first as a cleric and later as a bishop. He has, as he himself humbly acknowledges, a rather rough and unrefined style of writing, though he is certainly capable of a biting and Juvenalian wit, which occasionally turns up in Against Heresies. But in preaching the faith and witnessing some of the egregious contortions of it by con men, predators, hucksters and street magicians who claimed for themselves a special spiritual insight, or gnosis, Irenæus applied himself with admirable vigour to the defence of a proto-Orthodoxy which was still beginning to be fully articulated. It is notable that he was strongly motivated to do this for the people who found themselves exploited by these Gnostics—who often took full advantage, whether financial or social or sexual, of their victims. Though the heresy of Gnosticism has wide and seemingly inexhaustible permutations (all of which are made up, as far as I can tell, of tedious metaphysical codswallop), these share a similar theme in that they all seem to construct elaborate, labyrinthine cosmologies with male-female mating pairs of spiritual powers (Æons) in groups of eight (an Ogdoad) or ten (a Decad) or twelve (a Duodecad), which exist entirely apart from the physical material world, in the spiritual realm of the Pleroma. The reason that the physical material world exists is because one of the female members of the Duodecad began to experience impure passions for her ‘father’, and gave birth to an abortive, non-spiritual substance, which she gave to another of her offspring (the Demiurge), from which he shaped and formed the material world. In Gnostic thought, human beings, as part of this lifeless and impure material reality, can only communicate with the spiritual realm, and thus achieve salvation from it, by the means of magic incantations and formulæ, which can range from invocations of the names of the spiritual powers to nonsensical phrases to just strings of vowels. These the Gnostics proceeded to justify through the use of a numerological reading of certain passages of Scripture, whose ‘true meaning’ had been cunningly hidden, such that it would reveal itself only to those possessing the proper knowledge to interpret it—that is, only to them. The Gnostic teachers almost to a man belonged to the upper and educated class, and—as Irenæus showed—adapted concepts at will, syncretically, from ‘the wisdom of the Egyptians’, from Homer, from Pythagoras, from Plato and Aristotle. And yet, they used these ideas with all the integrity of sophists, to defraud and debauch the innocent—and they did so by dividing knowledge (gnosis) from the practice of love. But for Holy Father Irenæus, love is preferable to learning not because learning is of no worth (Irenæus does not despise the intelligent), but because we are only capable of learning of divine things through the practice of love. This teaching lies at the root of the integral-knowing of Khomyakov and Kireevsky. It is possible, and indeed easier, for the ‘simple and unlettered’—for Khomyakov, Kireevsky and the Slavophils embodied in the model of the rough, crude Russian peasant situated in his commune—to practise love of God and neighbour. In Slavophil eyes the peasant thereby easily and freely attains to a wisdom that the Russian intellectual—lusting as he does with the knowledge of modern France and Germany which gives him power, influence and social high standing—has difficulty reaching. It is necessary to note that Holy Father Ambrose’s opponents are not Gnostics, but they are still ‘elitists’ of a sort. The followers of Arius, whose cause was then alternating with the doctrines of Nicæa in royal favour, were as much representatives of a class and of a political position inhering to the interests of that class, as they were proponents of a Christological heresy. Arianism, according to historian Robert Pattison, ‘was a theological expression of nostalgia for the economic laissez-faire of classical civilisation. Arians were the apologists for a fading libertarianism which reached its high-water mark two hundred years earlier in the age of ambitious Trimalchios and virtuous Epictetus… a coalition of intellectuals, bureaucrats, professionals, artisans, merchants and freedmen.’ The Arian Christ who was of different substance from, separate from, and subordinate to the Father, appealed equally to men who had no interest in claiming solidarity with people who were beneath them, or in obeying those above them, particularly when Imperial taxes were under consideration. When the opponents to whom he addresses himself in his Letter are placed in this light, Ambrose’s stolid championship of Nicene Orthodoxy and his full-throated, even defiant preference for what is clearly the vulgus, for the common and impoverished rabble who sang hymns in his Church, begin to make much more sense in juxtaposition. The truth of Christ’s Incarnation to which the Council at Nicæa confessed was radical—intolerably so, to people who believed in their own self-sufficiency and political and metaphysical independence from their ‘inferiors’. But to the vulgus, it was nothing more and nothing less but the promise that they were not abandoned, that they were saved by a God, even the One who is Creator of all things, who took on flesh—as one of them. Nicene Orthodoxy holds out for nothing less than divine solidarity with even the least, the poorest and the most wretched of mortal creatures. 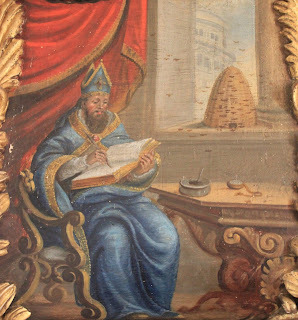 Indeed, the blessed Bishop—directly prefiguring the spiritual pilgrimage of the Slavophils and the narodniki—looks to the poor and the wretched, not as objects of pity, as those who have immediate access to a spiritual wisdom unattained by the learned or the wealthy, or by ‘vigorous warriors’ of the sort who were drawn to the teachings of Arius. It is with a Chestertonian apology that I write this article. It’s as if I am setting out to sea in search of some long-lost and uncharted land only to discover not only that many people have come thence before, but in fact it is the very same beloved home town I set sail from. Naturally there is a strong and deliberate connexion between the Russian Slavophils and the earliest of the Western Church Fathers—a connexion which indeed ought to be shared by Christendom in the main—and this modest contribution likely amounts to little more than a restatement of it. But it is still worth showing forth, again and again. Christian West and East are perhaps not as foreign to each other as one might be led to believe.